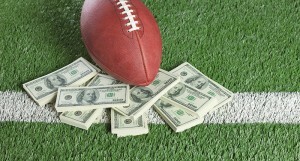 Sports fanatics, DFS experts, and professional poker players - what do they have in common? A better question is what do they not have in common? We're currently at an interesting crossroads where these groups are merging into one and the spillover effect is being seen all over the place. Poker players are realizing the same skills that make them successful in huge tournaments are exactly the same needed to win at DFS (and vice versa). In the same vein, sports fanatics are embracing DFS (and then poker) to test their sports knowledge and poker players that have entered the DFS arena are turning into sports fanatics as they pore over statistics to gain an edge over the competition. How did we get here? Where are we going? Can poker players give sports fanatics and DFS experts a run for their money? The biggest reason why poker players are jumping to DFS in droves is not because they just woke up one day and discovered they love watching the games. If you look back at the history of professional poker players, you'll find that many were (and are) actively involved in sports betting, regardless of whether they enjoyed the athletic competition or not. The action involved is the draw and the ability to win big money by making correct predictions. With the rise in analytical, statistics-based, game theory optimal poker players, DFS represents an opportunity to take their approach to poker and find a new outlet where the same calculated competition can translate to cash. The big DFS league events actually use a similar framework as poker tournaments. Each player pays a fee (plus a commission to the hosting site) and drafts the selected members of their team. The prize pool is added up and will be split among the top finishers. After the first round (weekly for NFL), players can switch up their lineup to be optimal against their competition. This is exactly the same as what a poker player does when they sit down to play a poker tournament - the only difference is scale. Each hand (corresponding to a weekly round of DFS), the poker player calculates their best chance to win and takes what they believe to be the most correct action. Because they already have a feel for the inherent structure of DFS events, a poker player's transition is much more rapid than a sports fanatic entering DFS for the first time. With the problem of learning the game a relative non-issue, poker players can move straight to strategy concerns, something that is also likely to come natural to them based on their poker experience. It should come as no surprise that there are plenty of poker players that have been involved in fantasy sports for years, such as Daniel Negreanu, who is not only a hockey fanatic, but has also applied the fantasy model to the World Series of Poker, creating a monster annual fantasy event that costs $25,000 to enter. The game of poker is based on calculated risk and any professional player has spent countless hours analyzing and thinking about the many possible situations and the best action for each. The same is true about DFS and that analytical thought pattern comes in handy as poker players start breaking down the individual matchups to make more informed picks instead of just automatically going with the all-stars. In the past few years, the biggest growth in poker has come from heads up play, pitting two players against each other. A decade ago, this type of game was a rare event and usually only happened when one player challenged another. Nowadays, there are tons of heads up tables online and even a $10,000 heads up event at the World Series of Poker. The players that excel at this format are the ones putting in the statistical study work to take all the leaks out of their game and develop an always-evolving strategy with which to crush opponents. Instead of focusing on a single game, these pros are looking at the bigger picture and playing multiple tables to make skill an even more important part of winning. Using game theory, it's no longer a question of what cards an opponent holds, it's more about what range of hands could they have and what's the best play against that range. While DFS may be best known for its big events that bring out tens of thousands of entrants, the truth is that the majority of DFS players have turned to the heads up format made popular by poker and they're approaching it the same way as poker players with the idea that tons of volume will reduce the variance involved. 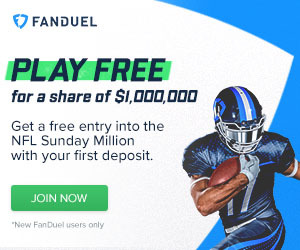 Log on to FanDuel or DraftKings and you'll quickly see players that have constructed lineups with slight variations spread across tons of virtual tables. In DFS, game theory raises its head in the same way and going for a one-off home run may win the game, but it won't win the pennant. The connection between sports fanatics, DFS experts, and poker players is getting stronger by the day and that trend is likely to continue. The full immersion is likely to come in the near future due to several factors. The first event that is likely to fuel the boom is already in the works. Numerous sportsbooks in Las Vegas are considering the launch of DFS live events. Las Vegas currently hosts several fantasy sports conventions and look at this as a way to expose new players to the world of sports betting. Much like poker tournaments the DFS games will be somewhat of a loss leader, but offer players an opportunity to learn how the nuances of sports betting and to be comfortable in the surroundings with minimal risks. The second event needed is one that is simply a matter of time. Just as Chris Moneymaker’s 2003 World Series of Poker victory after winning a $40 satellite on PokerStars ignited the poker boom, a major score by a DFS player will do the same. This is only a matter of time due to the fact that there are multiple ways for it to occur. Poker and DFS have many common players. Part of this is due to the aforementioned similarities in strategies. Many DFS sites offer competitions which award players seats in major poker tournaments. Inevitably one of these qualifiers will score a noteworthy victory or a poker player will have an impressive DFS victory. Both will generate a great deal of media attention and fan reaction. Countless poker players will flock to DFS and the reverse will happen as well. DFS players that have been in the game for many years may start to figure out that they already have the skills needed to win at poker - they just need to learn the game. In short, both DFS and poker will benefit tremendously and the lines between the two will be blurred considerably. It's coming. Are you ready for the explosion?